Who are you at the U? The theme of the 48th annual Women’s Commission Breakfast keynote address, delivered by Dean Laura Kohn-Wood, was “Intersectionality,” promoting a message of social identity awareness and inclusivity across campus. 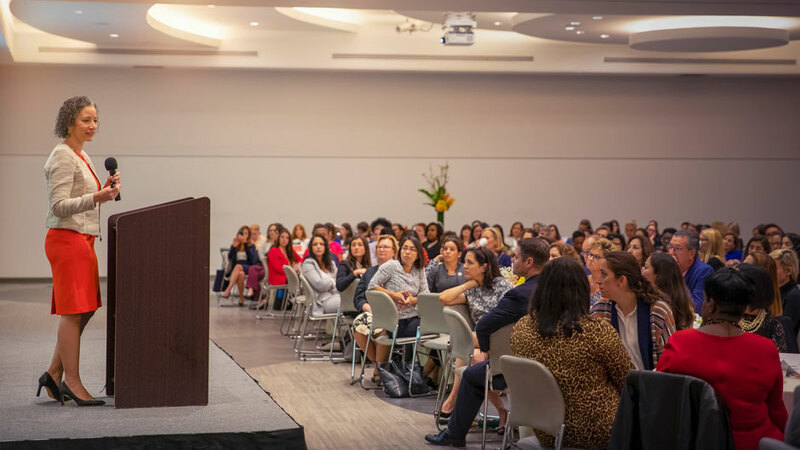 After 48 years of gathering to celebrate the impact of the University of Miami’s Women’s Commission, the program at Wednesday’s annual breakfast was a little different than in previous years. During the keynote speech, Laura Kohn-Wood, dean of the School of Education and Human Development, explained the meaning of "intersectionality," which she described as the culmination of all the social identities that make us unique and frame our thinking. Then, she posed a simple, yet powerful, question to the nearly 300 attendees in the room. Suddenly, the ballroom at the Shalala Student Center felt small and intimate as colleagues began opening up to each other about stories they may have never shared on campus before. One female attendee shared her table’s conversation: four women felt their social identity came from “interactions with each other,” while the only male at the table’s identity was very “internal.” This dictated how he interacted with others, she said. 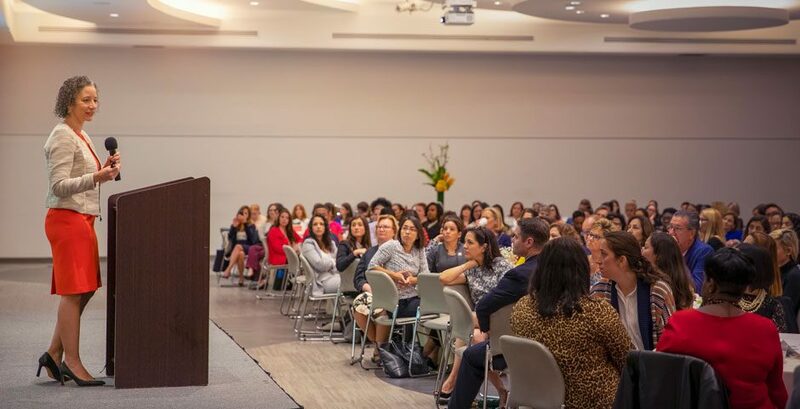 Following the keynote address, the Women’s Commission, which was founded at the University of Miami in 1971 by a group of 11 women dedicated to bringing women’s issues to the forefront of discussion, announced the nominees for its two annual awards. The 2019 May A. Brunson Award was presented to Merike Blofield, who like Brunson, UM’s second Dean of Women, has actively worked to improve the status of women at the University for the last 13 years. In addition to her research and teaching responsibilities as associate professor of political science and director of Gender and Sexuality Studies, Blofield has been a long-term advocate for gender and sexuality equality through her work in the Faculty Senate’s Equity and Inclusion Committee, the College of Arts and Sciences Dean’s Ad Hoc Committee, The President’s Coalition on Sexual Assault Prevention, and the Gender and Sexuality Studies program. But there’s more on the horizon for Blofield. “Receiving this award motivates me to work a little harder,” she said. The Louise P. Mills Award, which recognizes students who exhibit “leadership ability, academic excellence, and outstanding contributions to the enhancement of women,” was presented to Raisa Sequeira, a graduate student whose research centers on domestic violence as a public health issue. Sequiera has also advocated passionately for the enhancement of women through her civic engagement and leadership within the Latino community of Miami-Dade and through her service to the Miami-Dade County Commission for Women. Last November, she became the youngest person appointed to serve on the executive board for the commission. Kohn-Wood reminded those in attendance that the interaction they had been a part of was “just a glimpse” of what they can expect through Intergroup Dialogue, a program starting this fall which was developed by the Office of Institutional Culture and School of Education and Human Development, where faculty and staff will have the same opportunity to engage with each other across social identities in small groups. “The idea is for everyone to develop the skills needed to reach a shared understanding based on knowing deeply the types of identities and roles you play in life,” she added.